4 billion BCE: The Jagaroth, the most powerful, vicious, and visually unappealing race in the universe disappears from existence. Few are sad to see them go. 1505 CE: Leonardo da Vinci is rudely interrupted while gilding the lily by a most annoying military man by the name of Captain Tancredi. 1979 CE: Despite his best efforts not to end up in exactly the right place at exactly the wrong time, the Doctor, his companion Romana, and his cybernetic dog, K-9, arrive for a vacation in Paris only to discover that they have landed not only in one of the less romantic periods in Parisian history, but in a year in which the fabric of time has begun to crack. It is once again up to the Doctor to uncover an audacious alien scheme filled with homemade time machines, the theft of the Mona Lisa, the resurrection of the Jagaroths, and the beginning (or possibly the end—it is all quite complicated, you see) of all life on Earth. 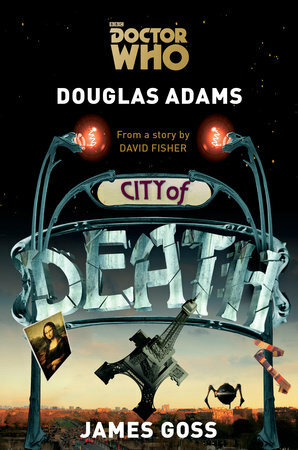 Dr. Who: City of Death novel by James Gross is based off the Doctor Who classic episode of the same name. The TV script was never meant to be penned by Douglas Adams (author of the hilarious The Hitchhiker’s Guide to the Galaxy), but by David Fisher with the title A Gamble of Time. Written without using much of Paris, they got more money to do this other adaptation of the script and wanted Fisher, but he was going through a divorce at the time and couldn’t do it, so Douglas Adams, script editor for the show at the time, took over instead. Reading the book, as a longtime fan of Adams' The Hitchhiker’s Guide to the Galaxy, Gross used Adams’ same brand of humor in City of Death as the book that made the number 42 famous. 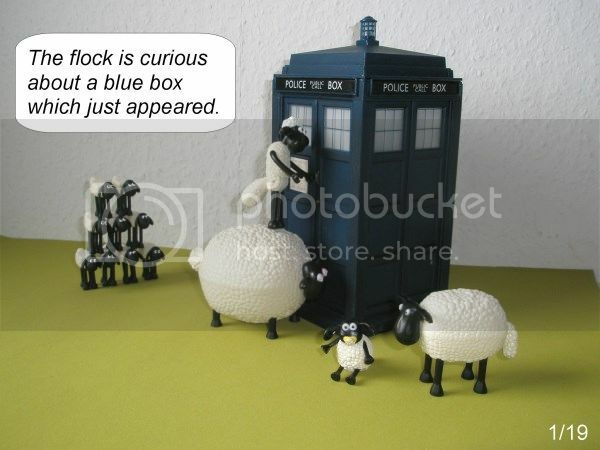 It fit the Doctor, that wacky madman in a blue box. This is the #4 Doctor, the one with the famous long scarf. His companion at this time was Romana, a Time Lord herself (played by first Mary Tamm, later in the series by Lalla Ward). They are visiting Paris for a holiday. K-9, the Doctor’s robot dog, is also in this story but the Doctor left him in the Tardis since the robotic dog would have missed the point of Paris completely. As the Doctor tries to give Romana a taste of the food and art of the city, they are dragged into what may be another adventure in which the Doctor will have to save the Earth again. This one involves the Mona Lisa, a last alien of his kind, and Time. Doctor Who: City of Death mixes humor, science fiction and time travel in a way that any reader will gladly hitch a ride with their imagination and enjoy. James Gross captured the Douglas Adams humor I’ve grown to love. 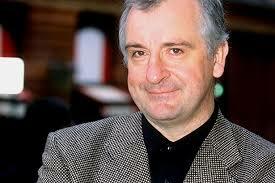 was born in 1952 and educated at Cambridge. He was the author of five books in the Hitchhiker’s Trilogy, including The Hitchhiker’s Guide to the Galaxy; The Restaurant at the End of the Universe; Life, the Universe and Everything; So Long, and Thanks for All the Fish; and Mostly Harmless. His other works include Dirk Gently’s Holistic Detective Agency;The Long Dark Tea-Time of the Soul; The Meaning of Liff and The Deeper Meaning of Liff (with John Lloyd); and Last Chance to See (with Mark Carwardine). 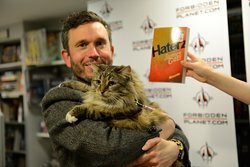 His last book was the bestselling collection, The Salmon of Doubt, published posthumously in May 2002.
has written three Torchwood novels, a Doctor Who novel, and two radio plays, and is the co-author, with Steve Tribe of The Dalek Handbook and Doctor Who: A History of the Universe in 100 Objects. His books Dead of Winter and First Born were both nominated for the 2012 British Fantasy Society Awards.